Bow view. Flagship U.S. Fleet 1916 - 1945. 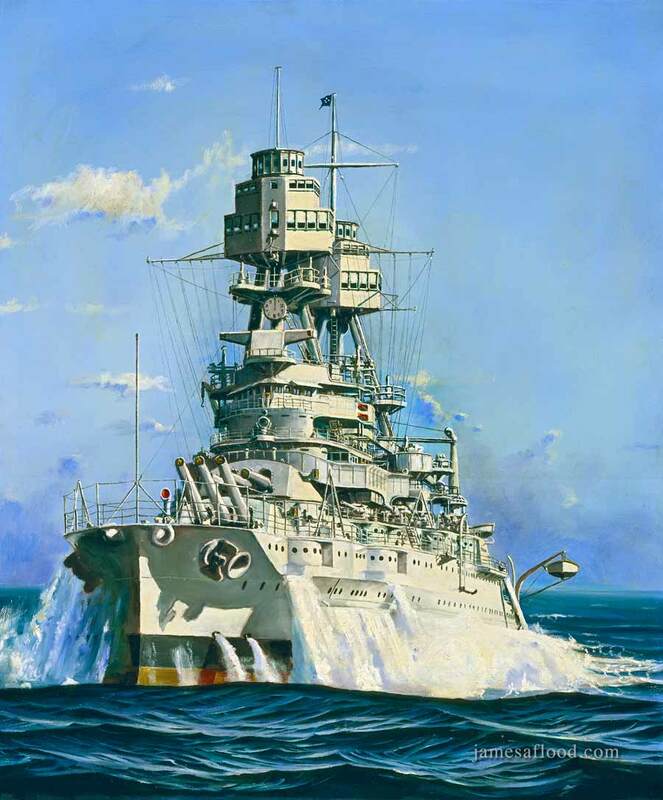 This painting shows the ship in her prime in 1936 forging through the Pacific rollers.